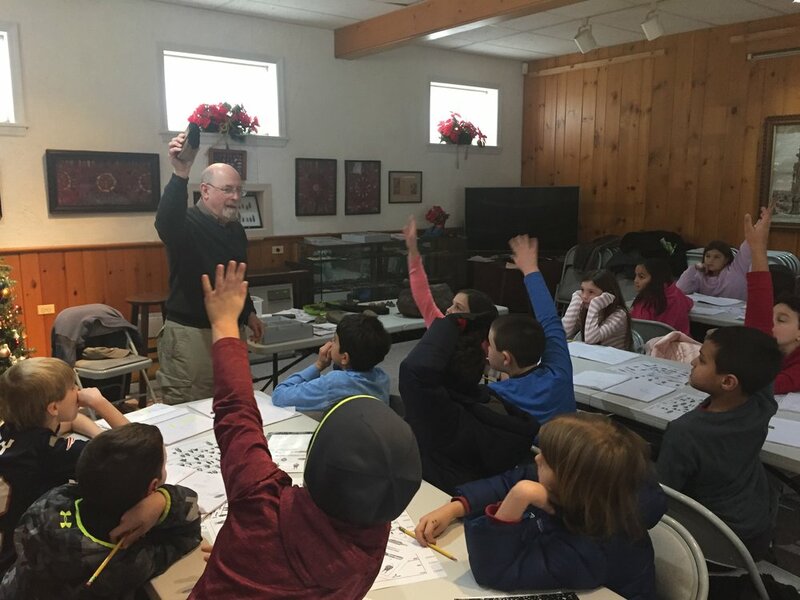 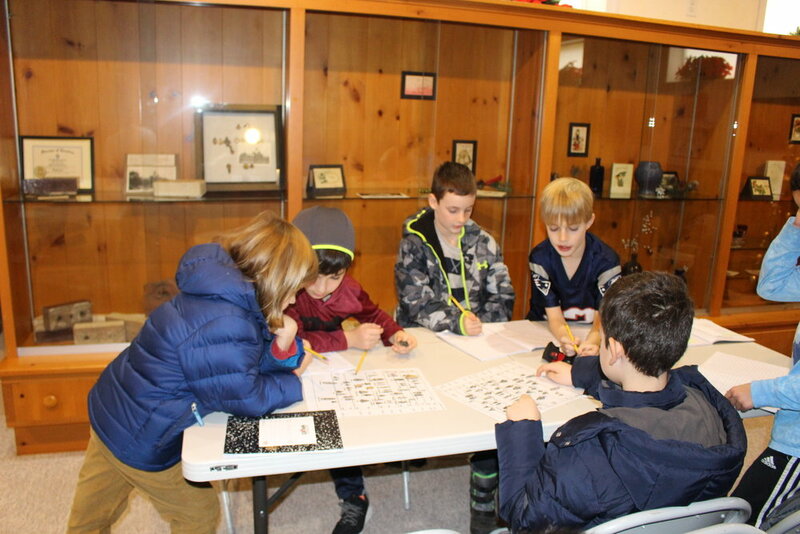 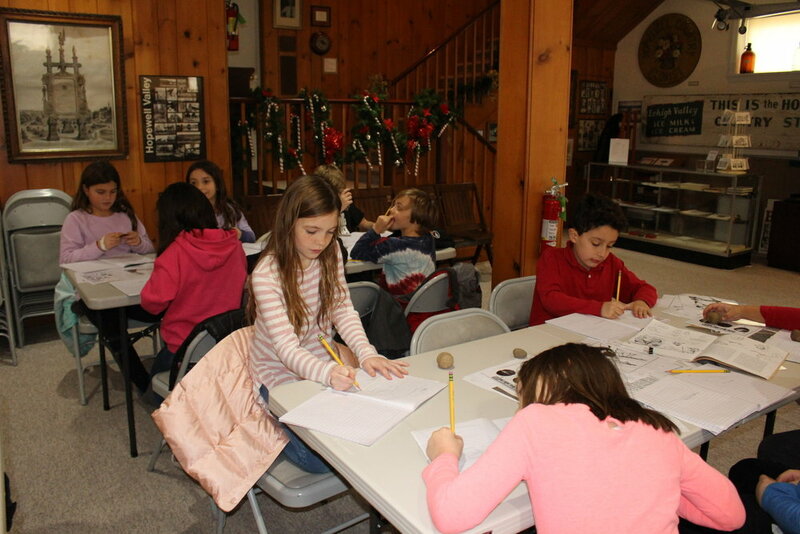 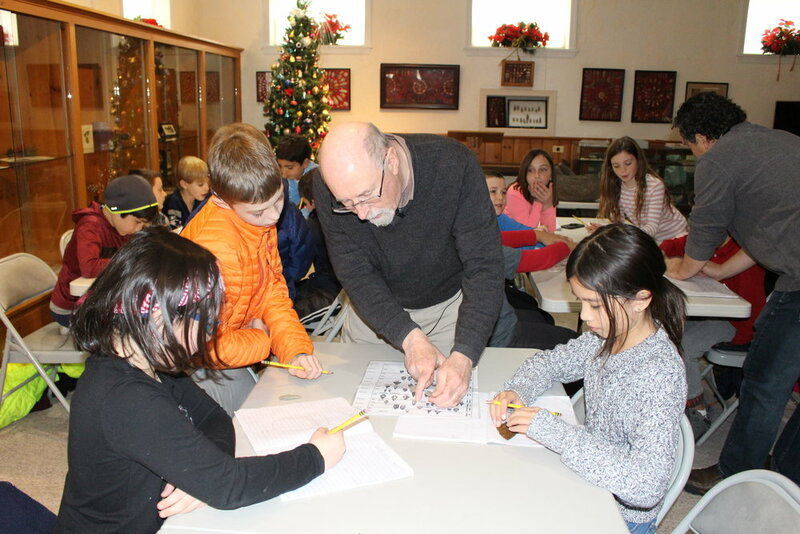 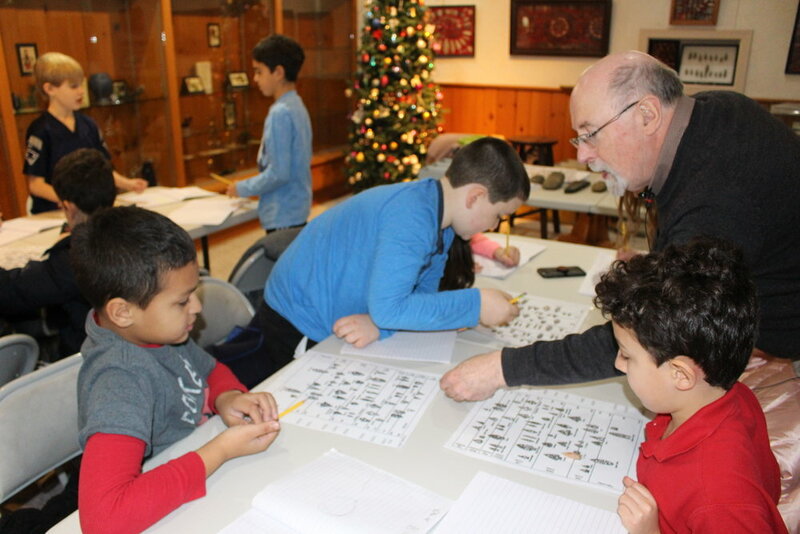 The fourth-grade classes at Hopewell Elementary School took a short walk recently and visited the Hopewell Museum for a very special session as part of their Native American Social Studies unit. 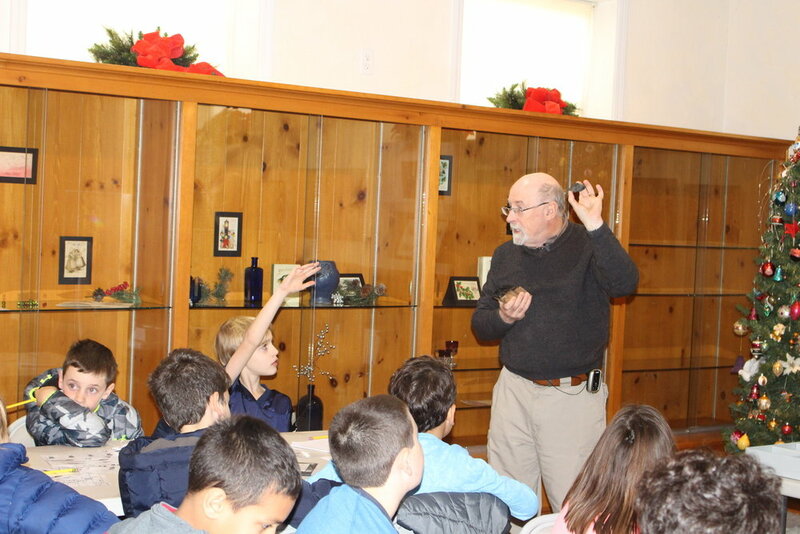 Trustee Ian Burrow presented Native American stone tools and projectile points from the museum's collection of neolithic artifacts from the Hopewell Valley. 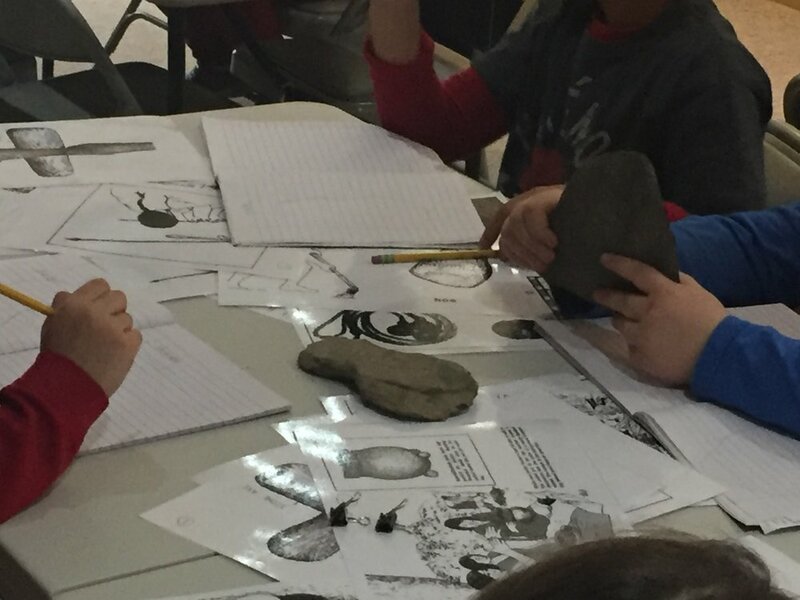 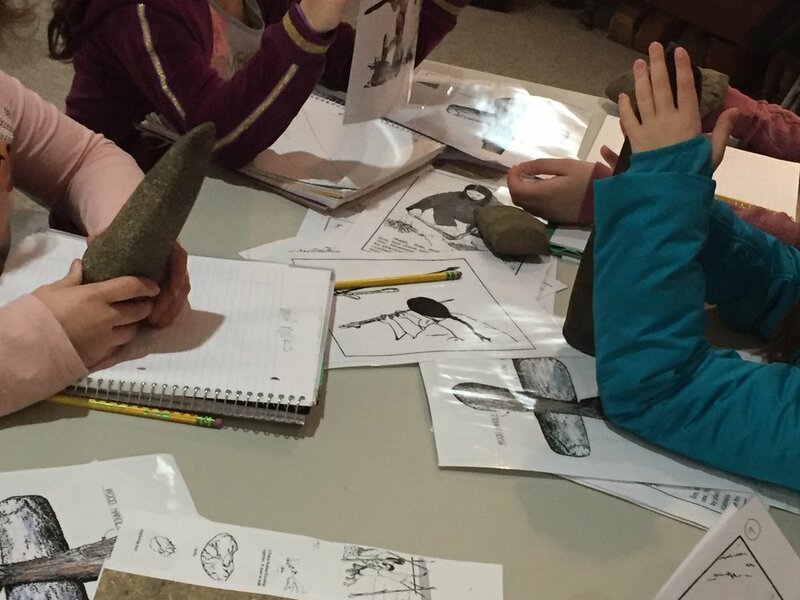 Students became "archeologists in training" in a hands-on exercise identifying stone tools and brainstorming their possible use. 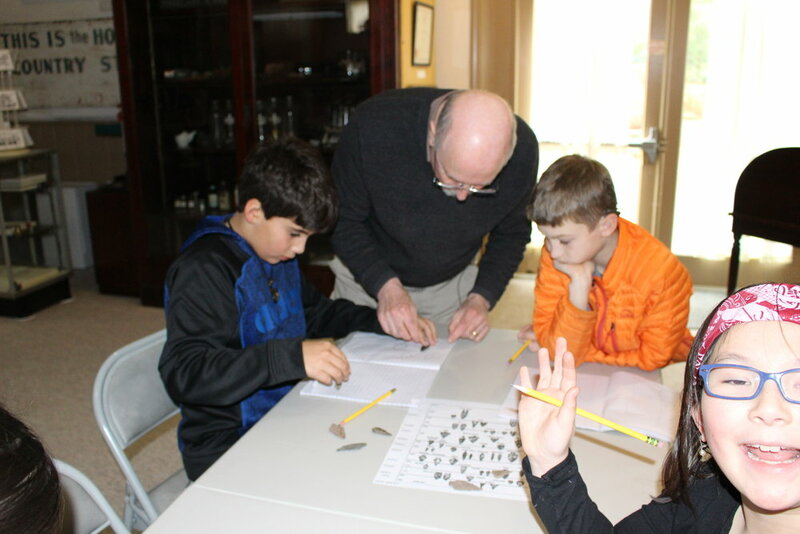 Students also identified and dated a variety of projectile points from the museum's collection. 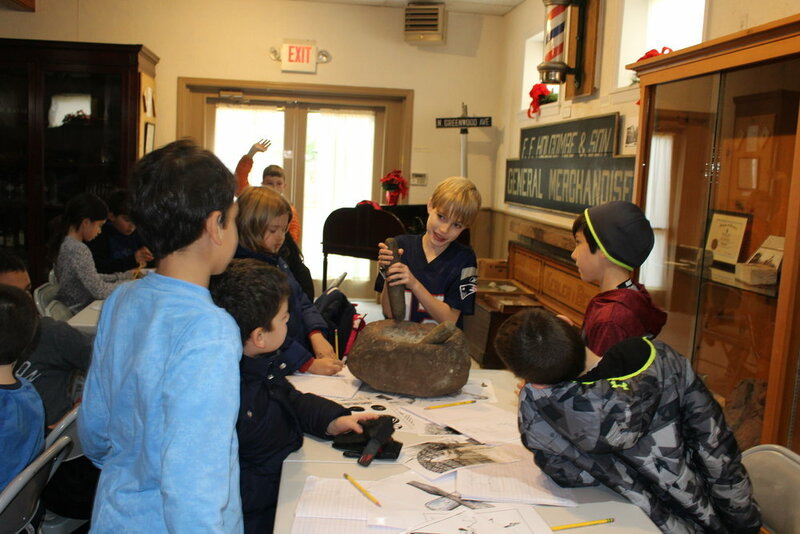 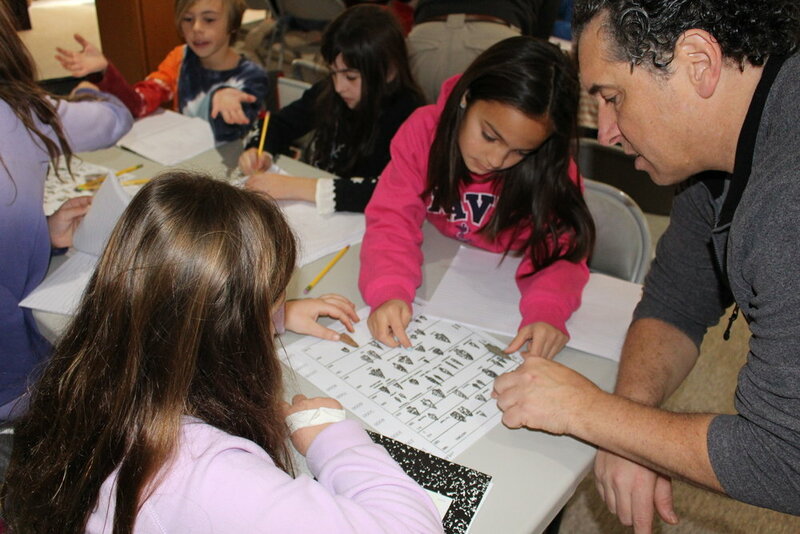 Students were able to handle artifacts that predate European settlement in the region as well as points that are many thousands of years old. 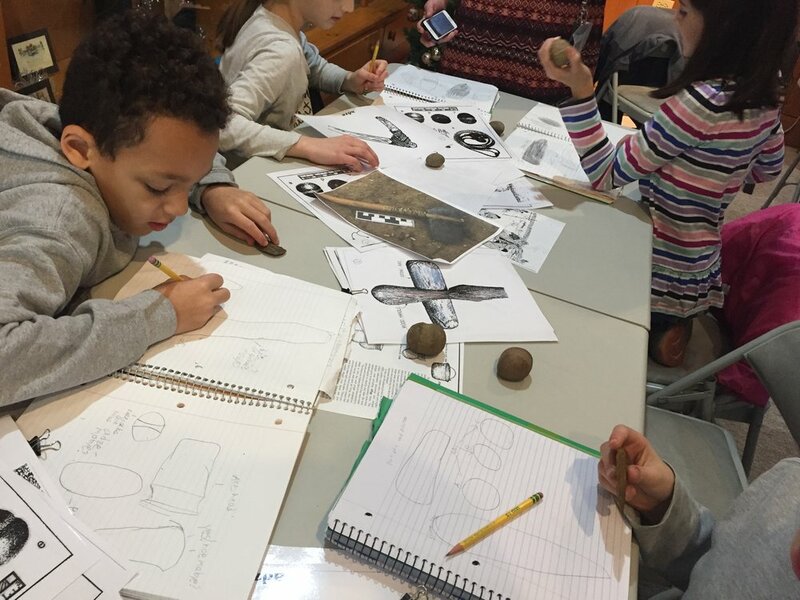 The museum would like to thank Ellen Davis, Kathryn Maloney, and Rachel Fleisher for bringing their classes to the museum!